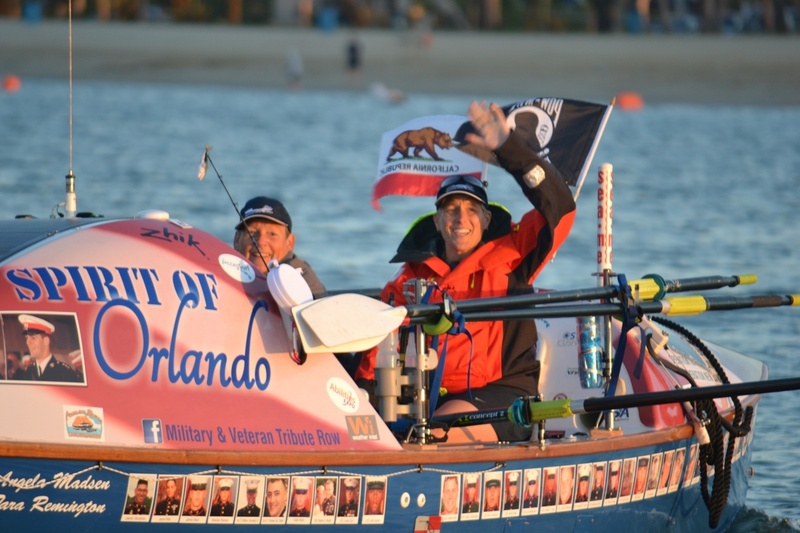 On May 20, Guinness World Record Ocean Rowers, Angela Madsen (U.S.) and Tara Remington (New Zealand) set out from Long Beach, California, rowing the 19-foot Spirit of Orlando more than 2,500 miles to Honolulu, Hawaii. Today, Pasha Hawaii is bringing the rowboat back to California aboard the M/V Jean Anne. Marine veteran Angela Madsen began her remarkable journey 20 years ago when she underwent a failed back surgery for an injury sustained while on duty. At that time, her goal was to be walking and surfing within one year. Instead, she found herself confined to a wheelchair, which became the impetus for new goals, including adaptive rowing and becoming an advocate for human rights and for the rights of people with disabilities. She has since been to five rowing World Championships, is a four-time gold medalist and a Paralympian, and holds six world records for rowing across the Atlantic and Indian Oceans, as well as circumnavigating Great Britain. Madsen was joined by Tara Remington, who holds a world record for rowing across the Atlantic Ocean. Remington rowed to raise funds for Charlotte Cleverley Bisman so she may attend Camp No Limits, a summer camp for children who are amputees. Madsen rowed to raise funds for California Adaptive Rowing Programs to purchase new boats for their aging fleet and to recognize fallen soldiers with a Military and Veteran Tribute Row.